Back in March 2007, Sweet Rot’s second ever release was the debut 7″ by Cheap Time. A couple of years later we released a single by front man Jeffrey Novak. Now Sweet Rot is pleased to continue the collaboration with a new two-song 7″ which comes hot on the heels of the band’s quite great “Wallpaper Music” LP on In the Red Records. 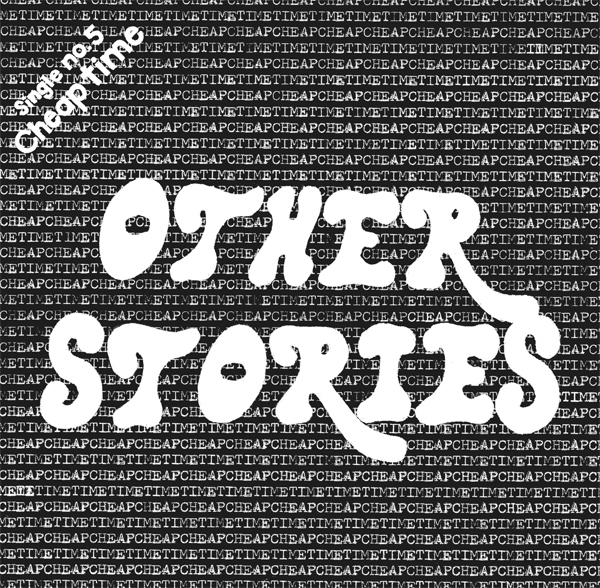 These two new songs – “Other Stories” and “In This World” – are a prime example of what a 70s sounding glam punk single should be – short, well written and produced, and super catchy. We feel these songs perfectly complement each other and think fans of the band’s previous work will too. Sweet Rot and Jeff Novak keep their relationship moving forward with this two-songer, a companion piece to the outstanding ‘Wallpaper Music’ LP. As I’ve commented about other recent releases, Jeff has reduced the Sparks-isms of the past a good bit, and on the A-Side here writes a direct glam-garage hit, nothing too fancy, just a killer riff, a small piano bit that adds some pomp and a two-note (maybe three?) solo that actually shuts the song down dramatically and abruptly. Jeff’s vocals on this are really strong and confident, going from talk-talk to sneer to glam-camp with ease. The more you listen, you realize this tune ain’t all that simple, he’s just making it sound easy at this point. B-Side (“In This World”) changes tack slightly for another of the Saints-styled punkers that he’s been killing it with of late, even sounding unnervingly like Chris Bailey on this one (maybe even affecting a bit of an accent). The buzzsaw guitar drive is only broken up by another minimalist solo, then they riff it out for the ending coda. If you liked the direction he was going on the LP, you should keep following with this one. I’m really looking forward to see what he’s going to do on his next solo LP as well (“Baron in the Trees”, due out on In The Red later this year). Scum stats: 500 copies.